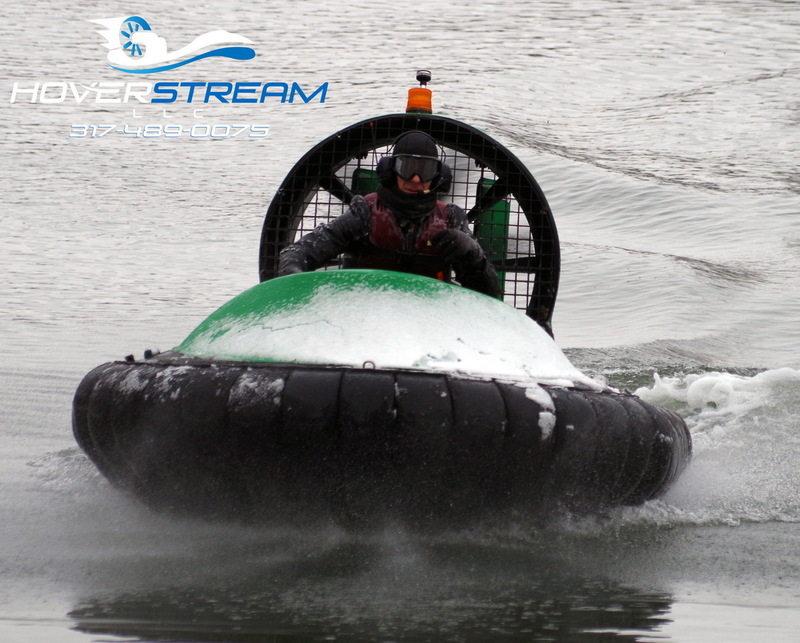 Spent some time in the snow demonstrating the hovercraft to some clients. It was his first time driving a hovercraft, but because the Marlin is such a forgiving and easy to manage machine, he had the hang of it within a few minutes. He must have had a pretty good time, because he decided to buy one on the spot! Check out the photo gallery to see a few pictures from our snowy day.